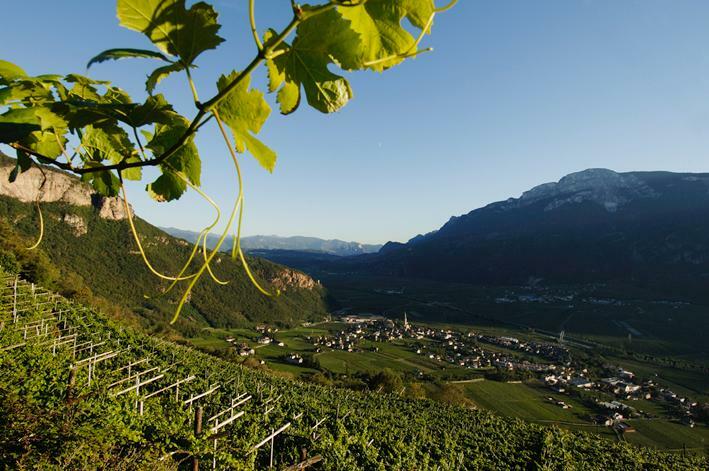 Founded in 1893, the Cantina Terlano winery is now one of the leading wine growers' cooperatives in South Tyrol, with a current membership of 143 growers working a total area of 170 hectares. That is the equivalent of some 1.5 million bottles of wine a year. We and our members have long had a strong focus on quality. That has attracted praise and recognition on the Italian and international wine markets, and in spite of its relatively small size, Cantina Terlano is now well established in the world of wine. Our modern winery produces 30 percent red and 70 percent white wines, all of them of DOC quality (Controlled Designation of Origin). Following the last upgrade and refurbishment in 2009, our cellars now include a total of 18,000 cubic meters of storage space, which ensures that the wines can develop undisturbed. On the outside, the new tract has a natural facing of red porphyry, the stone that gives the wines in the area their typical character. The roof is planted with vines so that it blends in completely with the surrounding countryside. Our wines are marketed in two distinct quality lines: Selections and traditional line. An annual rarity is also produced, which only comes on the market after it has spent at least ten years maturing in our cellars. That makes it a fine symbol of our focus on longevity. Cantina Terlano is a cooperative, with Georg Eyrl as Chairman and Hansjörg Hafner as his deputy. The Board, which was elected for three years at the end of 2017, has the following members: Anton Adami, Norbert Elsler, Ulrike Gratl, Hans-Peter Höller, Johann Nocker, Robert Müller, Christoph Patauner, Elmar Pichler, Konrad Rauch, Manfred Runer and Georg Spitaler.